The Foamstop range offers Foam Control Agents that include water soluble, powdered and VOC-free products that can be used in many applications, for example: VOC-free emulsion systems based on PVAC and acrylics, curtain coatings, emulsion paints and water-based systems. 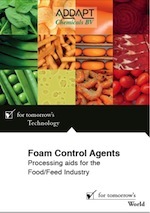 For more information read the "Foam Control Agent selection guide". The Foamstop 'SIN' grades are Foam Control Agents that are especially developed for the food processing industry. Application areas are: sugar production, potato processing, fermentation, vegetable processing, dairy products, meat/poultry/seafood and animal feed (non EU). Foamstop 100N is a complete water soluble Foam Control Agent. Foamstop 150N is a highly effective water soluble Foam Control Agent for all types of aqueous systems, especially suitable for curtain coating- and spray applications. Foamstop 400N is a highly effective, complete water-soluble Foam Control Agent. Foamstop 400F is a highly effective complete water-soluble Foam Control Agent. Foamstop 600N is a water soluble Foam Control agent. Foamstop 666K is a water soluble Foam Control Agent. Foamstop CCB is a cost effective Foam Control Agent for Emulsion systems based on PVAC, VA/VEOVA, Styrene/Acrylics or pure Acrylics (VOC free). Foamstop OPE 032 is an organic defoamer especially formulated for physical properties the production of Paper, Pulp as well as for the production of Eternit. Foamstop MP 21 is an organic defoamer especially designed for the Sugar production, Fermentation processes and Desalination of Seawater. Foamstop MP 33 is a highly effective Foam Control Agent for all types of physical properties aqueous and non-aqueous systems. Foamstop MP 55 is a highly effective Foam Control Agent for all types of aqueous and non-aqueous systems. Foamstop MP 92 is a highly effective Foam Control Agent for all types of physical properties aqueous and non-aqueous systems. Foamstop SL 10 is a highly effective and versatile Foam Control Agent. It is extremely stable both on storage and in the final system. It is a Silicone Emulsion containing minerals and fatty acid based emulsifiers. Foamstop SL 30 is a highly effective and versatile Foam Control Agent. It is extremely stable both on storage and in the final system. It is a Silicone Emulsion containing minerals and fatty acid based emulsifiers. Foamstop SL 100 is a highly effective and versatile Foam Control Agent. 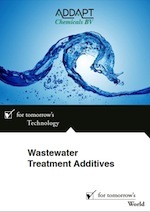 It can be used in aqueous and non-aqueous systems. It is a Silicone Compound containing minerals. Foamstop VF 10N is a VOC-free Foam Control Agent for low VOC- Emulsion systems based on PVAC, Styrene/Acrylics and pure Acrylics. Foamstop VF 35N is a highly effective Foam Control Agent for low VOC- Emulsion systems based on PVAC, Styrene/Acrylics or pure Acrylics. Foamstop WS 17 is a highly effective, complete water-soluble Foam Control Agent. Foamstop BioVeg G is an organic defoamer (MOSH/MOAH free), especially formulated for the processing of Vegetables (Spinach; Carrots; Peas), Potato (Starch, French Fries) and Mushrooms (Champignon). Foamstop SIN 21 is an organic defoamer especially designed for the Sugar production, Fermentation processes and Desalination of Seawater. Foamstop SIN 107 is an organic emulsion based defoamer especially formulated for the production of Gelatine, Potato (Starch, French Fries) as well as for Sugar processing. Foamstop SIN 260 is an organic defoamer especially formulated for processing of Cane Sugar, Yeast and fermentation of molasses obtained from Sugar Cane. Foamstop SIN 265 is an organic defoamer especially formulated for processing of Sugar and Fermentation of molasses obtained from Sugar Cane. Foamstop SIN 360 is an organic defoamer especially formulated for the production of Potato Chips as well as for the Sugar production. Foamstop SIN 365 is especially formulated for the production of Potato, the Sugar production and fermentation processes (i.e. Citric Acid). Foamstop SIN 365S is especially formulated for the production of Potato, the Sugar production and fermentation processes (i.e. Citric Acid). Foamstop SIN 366 is an organic defoamer especially formulated for the production of Gelatine, Potato (Starch, French Fries, Chips) as well as for the Sugar production. Foamstop SIN 385 is an organic defoamer especially formulated for the production of Gelatine, Potato (Starch; French Fries; Chips) as well as for Sugar processing. Foamstop SIN 388 is an organic defoamer especially formulated for the production of Gelatine, Dairy products, Potato (Starch, French Fries) as well as for Sugar processing. Foamstop SIN 425 is an organic defoamer especially formulated for production of Dairy products, Potato (Starch, French Fries) and Sugar processing. Foamstop SIN 525 is especially formulated for the production of liquid and dry Food products originating from Dairy products. Foamstop SIN 535 is an organic defoamer especially formulated for the production of Citric/Lactic acid (fermentation process), Mono-Sodium Glutamate and Acetic acid production. Foamstop SIN 555 is an organic defoamer especially formulated for the processing of Potato (Starch, French Fries), Vegetables, Shell Fish and Fermentation processes (i.e. Citric Acid; Enzymes). Foamstop SIN A is an organic defoamer especially formulated for the production of Gelatine, Potato (Starch, French Fries, Chips) as well as for the Sugar production and Coatings Industry.